Posted on June 12, 2013	by Richard J. Reibstein, Esq. 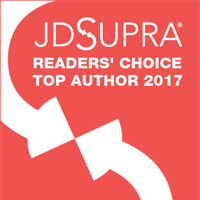 On May 30, reporter Carlyn Kolker of ThomsonReuters interviewed the publisher of this legal blog, Richard Reibstein, about blogging on the topic of independent contractor (IC) compliance and misclassification, and the cutting-edge issue of complying with different state and federal laws governing ICs. The full Q&A published by ThomsonReuters is available to subscribers to ThomsonReuters’ WestLawNext. Richard was first asked why he started this blog. He noted that he began immersing himself in the area of IC misclassification law in 2007, but he noticed that there was no legal resource dedicated to the area. He therefore decided to develop that resource . . . . In 2010, [he] launched this blog. Asked by Reuters how the co-publisher find[s] [his] material, Reibstein said that he . . . “strive[s] for speed and content” – to be the first lawyer on the Internet to report on significant IC misclassification and compliance matters in comprehensive blog posts with commentaries and takeaways. That takes reading over a dozen Internet alerts each day on the topic, he noted, but putting in the 12 or so hours a week “is well worth it”. Reibstein was next asked whether IC compliance was a problem for companies today. He noted that companies in pretty much all industries are using ICs in their workforce, while government regulators are cracking down and class action lawyers are targeting companies that are allegedly misclassifying employees as ICs. This has led to businesses “unwittingly exposing themselves” to misclassification liability for an array of unpaid taxes, overtime, and employee benefits . The final substantive question inquired about cutting edge issues. Reibstein made the point that the toughest issue today involves nationwide companies using ICs in many states and trying to comply with what he characterized as a “crazy quilt set of state law tests” as to what is an IC. He noted that while most lawyers focus on the IRS’s common law test, he . . . [has] focused on the varying state laws and designed diagnostic tools (such as the 48 Factors-Plus™ and the IC Compliance Scale™) as well as effective legal strategies to enhance IC compliance across a wide range of states. The White Paper authored by the publisher of this blog, showing companies how they can minimize the risks of IC misclassification liability, is available at the top of the Resources page of this Blog or by clicking here.